Happy New Year cocktail lovers! Cheers! Combine Hiram Walker White Peach Schnapps and Armagnac VSOP together in a cocktail shaker. 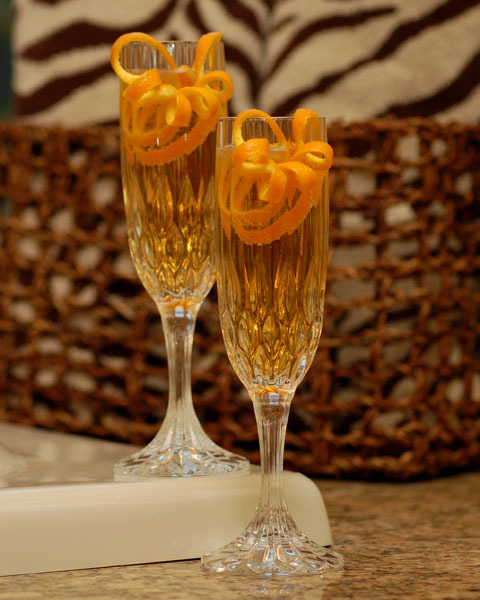 Zest orange peel over the liquid mixture to capture the essential oils and then place twist as garnish in champagne flute. Add ice to mixture. Shake to chill. Strain into champagne flute. Top with Brut Champagne. Keep warm with this simple coffee cocktail. It makes for a great fireside sipper or dessert tipple. Combine ingredients in a mug and stir. Top with whipped cream and chocolate shavings. Scotch is wonderful in seasonal cocktails—this one has the simple, warm flavors of brown sugar, hazelnuts, and vanilla. Great stuff from the International Wine & Spirit Competition (IWSC) Distiller of the Year—Chivas Regal. The Beefeater Shrub takes a bit of work, but it’s well worth it for this well-balanced fresh cocktail. In a saucepan muddle together the raspberries and blackberries. Add a little water and gently heat through adding the sugar as it warms up, simmer for 5 minutes. When cool place into an empty bottle and add equal parts of gin to the mixture. Leave this to stand in at room temperature for a day or two giving it enough time to marry together. Pour into a wine glass 3 oz. of the mixture, fill the glass with ice, squeeze and discard a piece of lemon and top with apple juice. Give it a quick stir and finally grate some fresh nutmeg over the drink. 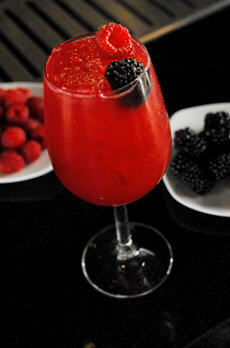 Last but not least, give this new cocktail from Cheri Loughlin a try. 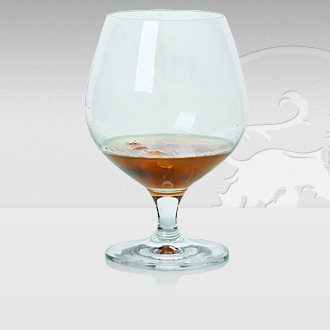 It’s a decadent drink that just as appealing to the eye as it is to the taste buds. Absolutely the perfect drink with which to impress your holiday guests! Rim Old Fashioned Glass with white chocolate liqueur. 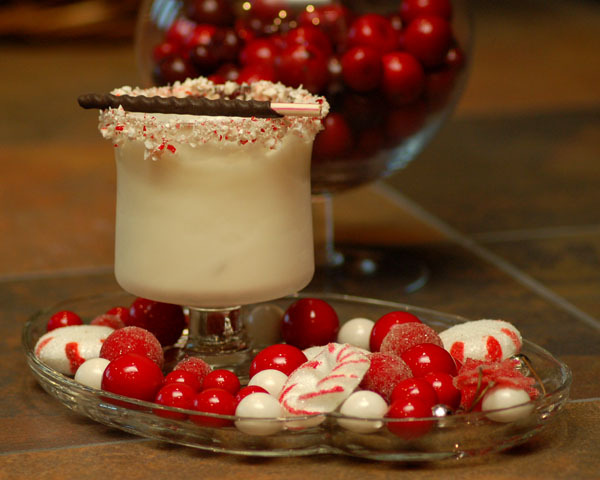 Dip rim of glass in crushed peppermint. Set aside. Combine liquids in cocktail shaker with ice. Shake to blend and chill. Strain into peppermint rimmed old fashioned glass over fresh ice. Garnish with chocolate dipped peppermint stick. Whatever your drink of choice this season, be sure to have a safe and happy holiday! Best wishes & cheers! 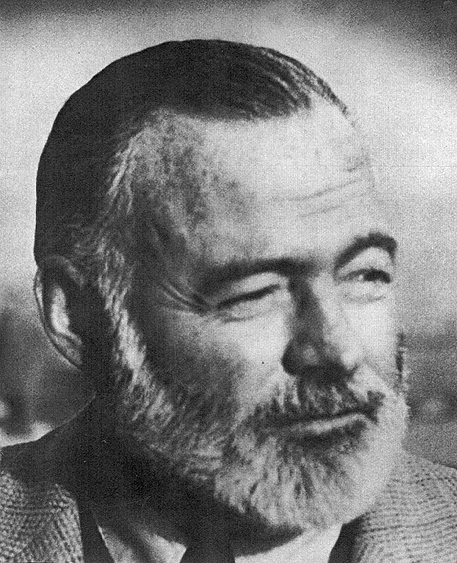 If you know anything about classic cocktails you probably know that Ernest Hemingway sure liked to drink ’em. Last month, Phil Greene hosted a seminar in the great author’s honor titled ” To Have and Have Another: The Hemingway Bartender’s Companion.” You can read up on the event, including classic cocktail recipes and cocktail-related Hemingway passages, over at the Museum of the American Cocktail’s blog. While you’re there, take a look around-it’s a wonderful organization! Pour Absinthe into a flute and top with Champagne. It’s as simple as that! Check out the video below. It’s from the Kahlua Coffee Cream-sponsored Thursday Drink Night event in Los Angeles. You’ll remember I attended the event and did a full wrap-up back in September. Take a look! Lots going on with our Absinthe of choice lately. Pernod Absinthe has enhanced their label design and packaging. The new design more clearly differentiates Pernod Aux Plantes d’Absinthe Superieure from Pernod® Anise, a favorite in France for more than 200 years. The clean and sophisticated new label is easier to read and is more in line with absinthe category packaging. The new gift box includes a specially designed absinthe spoon at no additional charge. 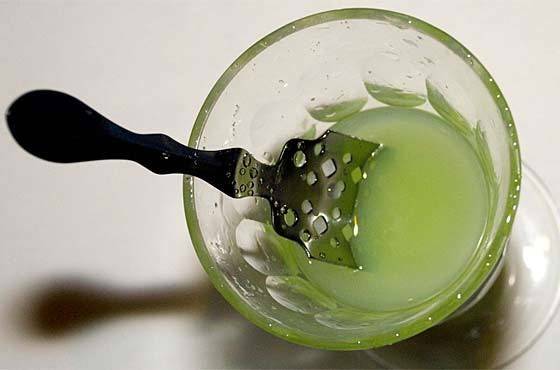 The unique absinthe spoon replicates the design of the popular spoons used by absinthe aficionados in the 19th century and allows consumers today to experience Pernod’s absinthe in an historic and authentic way. They’ve also got a new U.S. website up and running, which you can check our HERE. And last but not least, there’s a wondeful Pernod-sponsored “Creator Of” Art contest running which asks artist to submit original pieces for the chance to win $1,850 (for the year Pernod was created). Learn more about the contest on Pernod’s Facebook Page.